Brett originally hails from Mildura, Vic the orange and grape capital. His father ran his own small business selling Grape Harvestors, whilst his mother worked in admin for the Dept Agriculture. Moving to Sydney in 1994 Brett undertook and completed his University studies in 2000. He spent 3 years working in North-Western Sydney before embarking on an epic overseas adventure. Living in Ireland for 2 years Brett discovered his passion for Snowboarding in the French Alps which led to his time in Canada and the U.S. for the following 2-3 years. Never shy to give something a go Brett held jobs as a Black-jack dealer, lumberjack, masseur, bar-tender, Surveyor's assistant and as a Chiro of course. Upon returning home in 2008 Brett thought he'd "back-pack" around Australia whilst picking up work as a Chiro along the way. First stop was Dalby thanks to a referral by a mutual friend of Dan and Brett's. 12 months into his tenure and with plans to move to Western Australia it was the birth of his daughter Anika Molly that made him decide to settle here in good ol' Dalby. Brett has a passion for science and a common-sense approach. You can always count on Brett to "tell it how it is". Having been a chiropractor for 23 years, Ian has had the opportunity to work in most of Australia’s states as a clinic owner, associate or locum. For the past 10 years Ian’s family has lived on the Gold Coast and after his recent enjoyable locum stints in Mt. Isa and Lismore, he was eager to make a more permanent “escape to the country”. His two independent daughters are busy with University studies and wife Sally, a senior midwife was also looking for new professional and lifestyle change. They first met when Ian was also a registered nurse in Sydney. Whilst Ian is passionate about general practice, he has diverse special interest areas which complement Dr Brett. Whilst people can experience a sudden accident or incident and develop symptoms and therefore seek help, more often others can’t recall an incident and are left wondering how did I get here! This is increasingly down to our less physical ‘modern’ lifestyles, and the effects on our health, brain, spine and nervous system of the ever increasing use of digital technology at home, school and the workplace . We slouch, we sit and stare constantly at screens, becoming hypnotized by the activity at hand and numb to the constant physical stress this has on our bodies. Later on, we may start getting that headache, neck and low back pain, sciatica, tight neck, shoulder and back muscles, sore joints, tingling in the limbs, lack of energy, fatigue, poor sleep……….the list is endless. Before any symptom arises, there are always ‘silent’ postural indicators present that if addressed early can minimize these spinal/postural health issues. 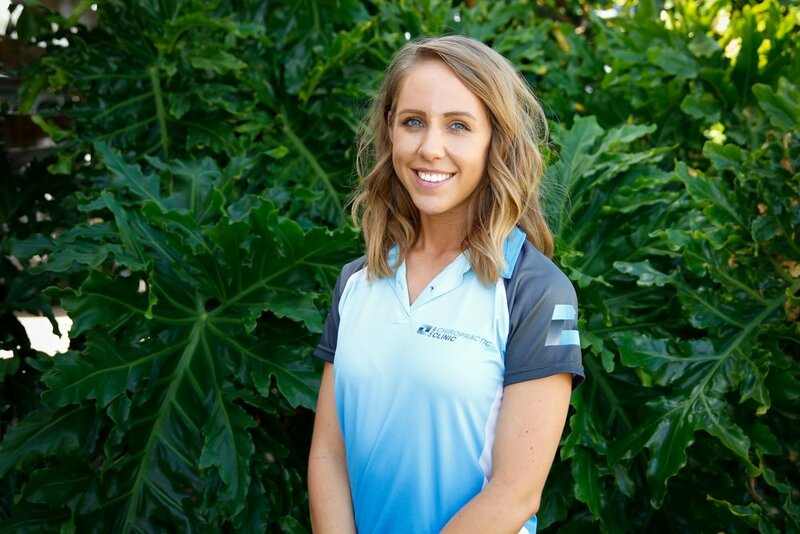 Ash has been apart of the Dalby Chiropractic crew since graduating from DSHS in 2011, she is currently studying a Medical Business Administration course through TAFE Brisbane and hopes to be finished later this year. Before working full time here she was a part time Gymnast, Coach and Judge Official for the Dalby PCYC Gymnastics Club. Ash is usually the friendly face on the desk as you arrive and she will do anything to make your time here at the clinic as enjoyable as possible! Talhia works here at Clinic three days a week the other days she works as a learn to swim Instructor at the Dalby Pool. In T’s spare time she is finishing up her degree in Primary School P.E teaching and hopes to be finished later this year. T is also apart of the Wheatchix team that we proudly sponsor and she knows how to tackle so I’d keep on her good side! Sarah is a proud super Mum of three boys and one girl. She also captians the womens Rugby Union team the ‘Wheatchix’ as well as does alot of volenteer work for the Cecil Plains Kindergarten. Sarah works here at DCC a few mornings a week and will give you the best warm up massage you can ask for.